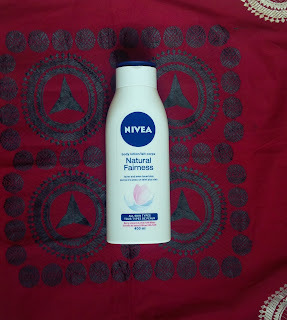 NIVEA EXPRESS HYDRATION OR NIVEA NATURAL FAIRNESS BODY LOTION - Pretty Mundne!!! Todays post is not just a review but also a comparison between the nivea express hydration and nivea natural fairness lotion. I have used their lotions in the past but stopped and I cant quiet remember why. I was looking for a new body moisturizer last year and came across this again and saw that the packaging had changed and so I decided to try it. EXPRESS HYDRATION FOR NORMAL SKIN WITH SEA MINERALS. The formula with sea minerals supplies you with moisture all day. Ingredents: Aqua, Glycerin, Dicapryly ether, Alcohol Denat., GlycerylstearateSE, IsopropylPalmitate, CetearylAlcohol, GlycerylGlucoside, MarisSal, Dimethicone, SodiumCarbomer, Sodium Cetearyl Sulfate, Phenoxyethanol, Linalool,Sodium Cetearyl Sulfate, Phenoxyethanol, Linalool, Benzyl Alcohol, Limonene, Citronellol, Parfum. It is in a 400ml bottle and it truly is fast absorbing, I got this during the harmattan season (low humidity) in Nigeria last year for 1500 naira because I needed a moisturizer that would not just moisturize my skin but will not be very greasy and this definitely did that for me. I didn't even need to add any sort of oil to this to make this any moisturizing. I would say though that once we started to get into the sunny season, it kind out started to get me really sweaty. If you have dry skin or live in a place with low humidity (dry air) and don't like greasy moisturizers this is definitely a great option and it is also very affordable. looking for a moisturizer that enhances your skins even-toned fairness? Try NIVEA Natural Natural Fairness Body Lotion. The unique formula enriched with great ingredients offers you 4 benefits in one lotion. 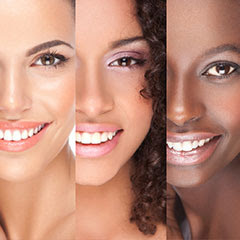 Berry extracts provide a visibly fairer, even toned and radiant skin. Liquorice also helps to brighten dark spots and discoloration. UVA/UVB filters help to protect the skin against sun damage. Glycerin and Vitamin E provide intensive moisturisation for smooth skin. ingredents: Aqua, Dimethicone, Ethylhexyl Methoxycinnamate, CetylAlcohol, IsopropylPalmitate, ParaffinumLiquidum, Palmitic Acid, Stearic Acid, Cetyl Palmitate, Butyl Methoxydibenzoylmethane, Glycyrrhiza Glabra Root Extract, Octadecenedioic Acid, Fragaria Ananassa Fruit Juice, Rubus Fruticosus Juice, Rubus Idaaeus Juice, Vaccinium Myrtillus Fruit Juice, Tocopheryl Acetate, Glycerin, Glyceryl Stearate, Propylene Glycol, Arachidic Acid, Myristic Acid, Oleic Acid, Silica, Magnesium Aluminium Silicate, Sodium Carbomer, Trisodium EDTA, Phenoxyethanol, Ethylparaben, Methylparaben, Linalool, Limonene, Alpha-IsomethylIonone, Citronellol, Geraniol, Benzyl Alcohol, Hydroxyisohexyl 3-Cyclohexene Carboxaldehyde, Benzyl Salicylate, Coumarin, Citral, BHT, Parfum. I absolutely love this moisturizer, I also love the fact it has UVA/UVB protection and the liquorice in it also helps to give a subtle even toned complexion. It feels very moisturizing but when the humidity gets dry I do mix it with a little oil for better moisturization. It cost 1,500 naira. 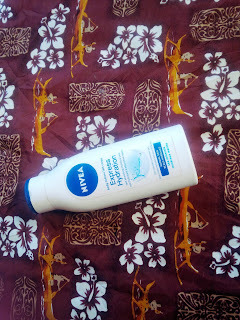 Read about my previous body moisturizer review HERE..